PQube have today announced that Akiba’s Beat, the spiritual sequel to Akiba’s Trip: Undead and Undressed, will be released on the 19th May 2017 within the UK and Europe for the PS4 and PS Vita. 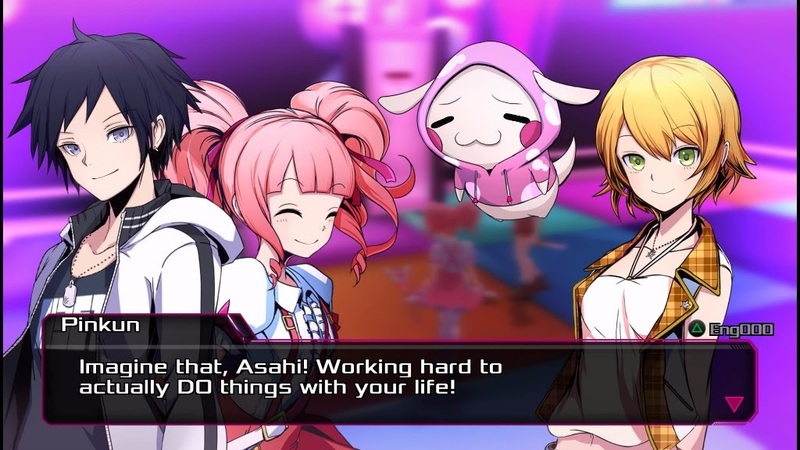 Developed by ACQUIRE, Akiba’s Beat is an action RPG with a musical twist set in an accurate but stylised recreation of Akihabara whereby players have to investigate a string of mysterious events that are occuring within the centre of Akihabara. As part of the campaign players will visit various ‘iconic’ locations within Japan’s popular entertainment district all of which has been loosely recreated for this JPRG experience. Synopsis: Mysterious events are taking place in Akihabara, the world-famous district of Tokyo where technology and culture meet. Twisted by a sinister presence, the people’s memories, hopes and dreams manifest in reality and warp Akiba in strange ways, the town is now stuck in a time loop, causing dangerous distortions in the very fabric of space and time! Befriend the colourful characters of Akiba and form your team to take on fantasies come to life, become the champion of Akiba and restore the town to its rightful state in this exciting new Action RPG! Get into the action with an exciting real-time battle system. The battle is your stage – turn fights into your own music video with Imagine mode. Akihabara recreated – Explore Akiba in a perfectly mapped 1:1 version of this legendary district. Imaginative dungeon worlds based on the delusions of others – from music fans to Idol obsessives. Incredible art and expressive animation truly brings the characters to life. Arm your crew with clothing and accessories bought from stores in Akihabara to boost their stats and increase the odds in their favour. Collect hundreds of computer upgrade parts from across the town to enhance your weapons. Boost your stats even further with collectible trading cards. Choose your jam – Collect character theme songs and in-game pop hits, and play them in battle to provide your party with a newfound burst of power. Dual audio – Choose between Japanese and English audio. Akiba’s Beat will be available from the 19th May 2017 within the UK & Europe for both the PS4 and PS Vita; a Limited Edition bundle is available to pre-order from selective retailers (including GAME which offer a plush toy as a pre-order bonus) and a Deluxe Edition from Rice Digital.